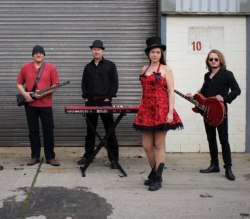 Big Ten Inch Music is a semi-professional, five-piece Rhythm & Blues outfit that is made up of some of the most exciting musicians from the West Country. Our set includes a broad variety of rhythm and blues music with a focus on many of the classic blues artists. Big Ten Inch Music were formed a little over three years ago and regularly play at established music venues in Bath, Bristol and Gloucestershire. They have featured at a number of key local events including Party In The Park and The Bath and West Motor Show. You can see recent footage on our FaceBook page below. Birthday, private party or venue booking, just drop us a message and we'll guarantee you a friendly response within 24 hours.